Saturday September 8,2018-Mining and petroleum Cabinet Secretary , John Munyes has said the decision by Treasury CS Henry Rotich to implement the 16 per cent VAT on fuel will hurt the economy. Speaking in Kakamega County on Friday, Munyes said the government should come out with other alternatives of raising tax instead of introducing a 16 percent tax on fuel. The CS said the Kenya Pipeline Company has indicated lower levels of uptake and Kenyans are not buying enough products because of the high levy. 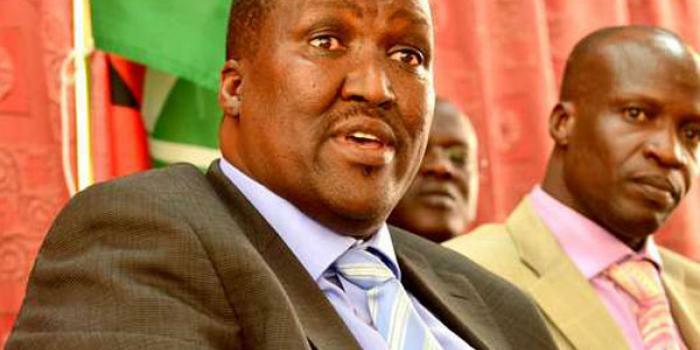 “I want to appeal to President Uhuru Kenyatta and my colleagues in the sector to allow more time to discuss the VAT issue and to find a lasting and appropriate solution,” Munyes said. Munyes said the implementation of 16 per cent VAT will give advantage to other countries over Kenya in the petroleum market and this will destabilise our economy. Stop borrowing more debts, Cut taxes, implement austerity measures and castrate all looters big and small. Break the necks of the peddlers of impunity and let us focus on justice, security and service delivery. The rest will fall in place in quick order. Bunge and Senators? Let alone the Women reps?